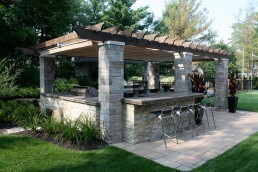 Parlez vous Francais? 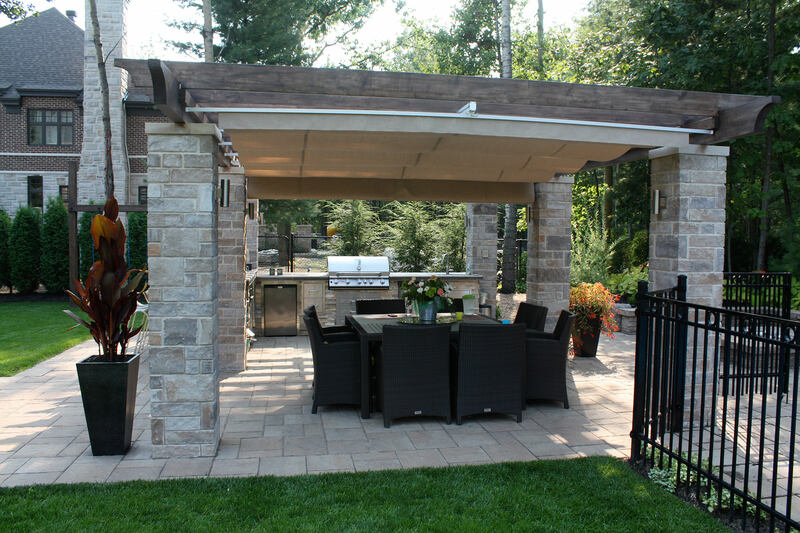 This beautiful outdoor living arrangement is near Montreal in Quebec, Canada’s French-speaking province. 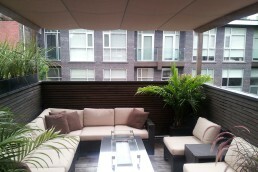 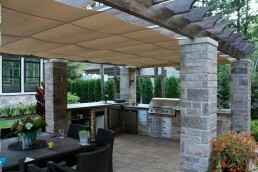 The generous outdoor kitchen measures 24’x13’ and is stylishly covered with a ShadeFX canopy in Sunbrella Silica Dune. 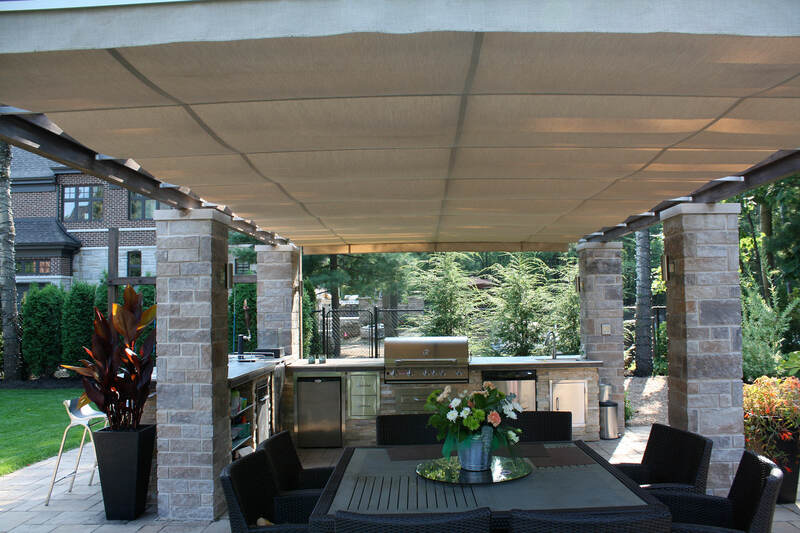 The Silica line of fabrics has a texture that mimics raw silk, the epitome of luxury. 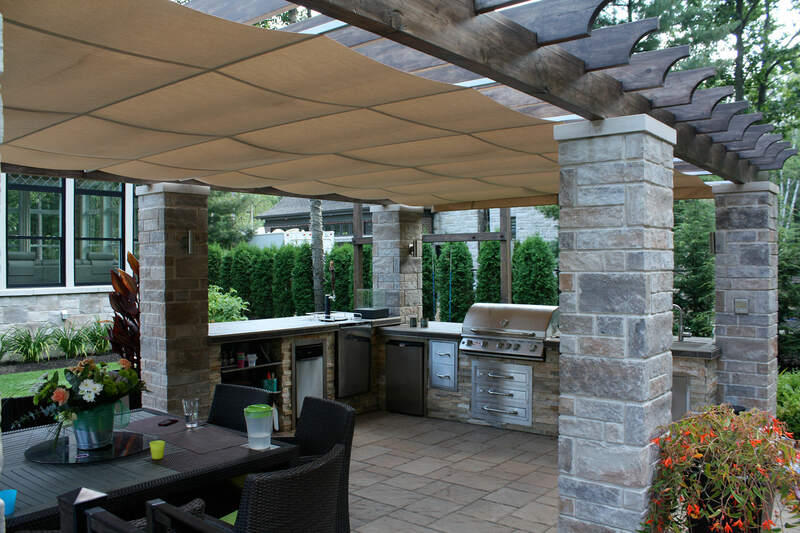 The canopy needed to retract to the end of the pergola that did not have power, so rather than run the wire 24 feet, we made the canopy ‘retract to front’, which is away from the motor and prevents the retracted stack from being above the barbeque. 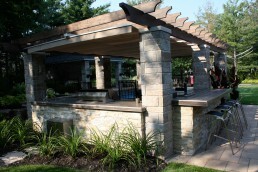 It’s another example of the flexibility of ShadeFX to adapt to your project. Notice the canopy fabric stops short of the wingtips by about 9”. 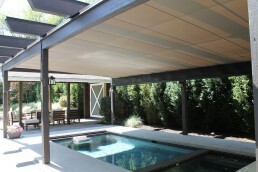 This is so the hanging fabric clears the posts while retracting and extending. The wing tips also run under stabilizers that so closely match the beam that they are practically invisible. 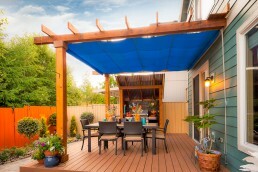 Kudos to the homeowner who specified and installed the project himself. 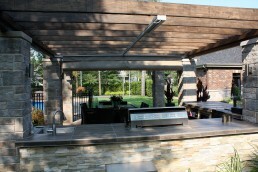 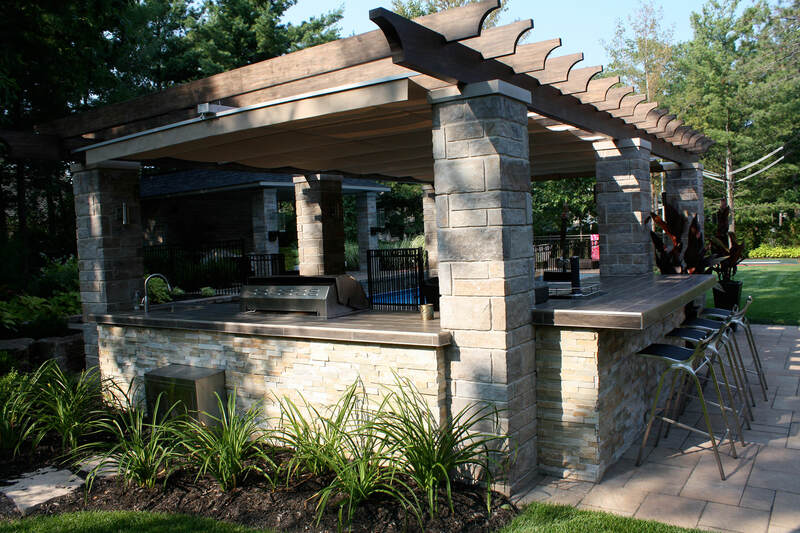 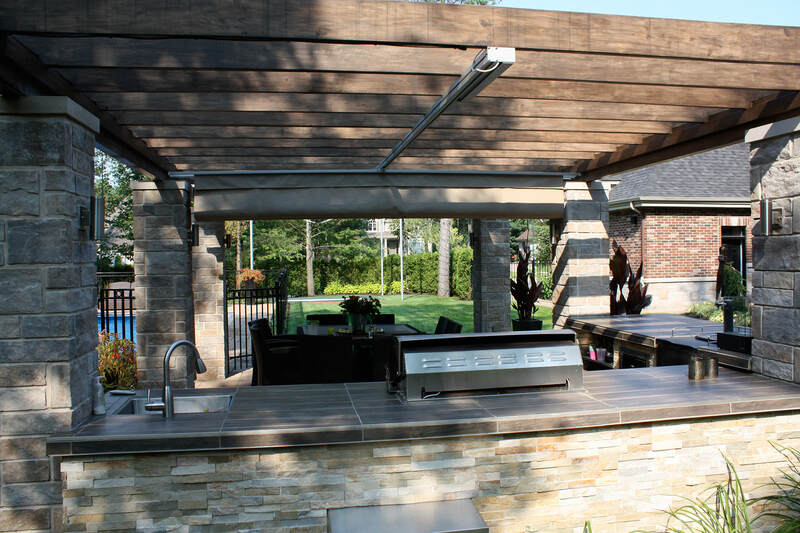 The generous outdoor kitchen measures 24’ by 13’ and is stylishly covered with a motorized ShadeFX canopy.